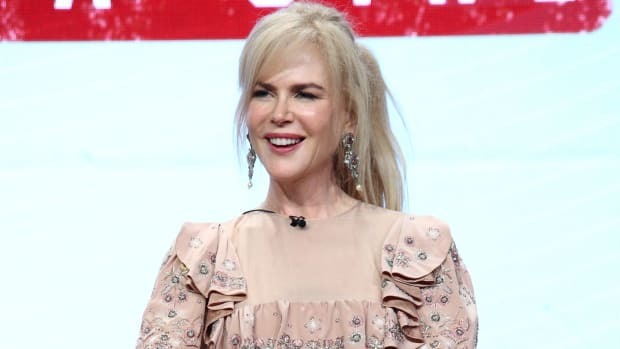 We would like to begin by bringing to your attention that Nicole Kidman is 45 years old. No, that&apos;s not a typo: 4-5. Just let that sink in for a second. Great. Now let&apos;s start over. Here is Nicole Kidman--nearly all of Nicole Kidman--gracing the giant fold-out cover of V Magazine&apos;s upcoming Travel Issue, on stands August 30. The &apos;skirt&apos; (server belt? Low-slung cummerbund?) is apparently Chanel--though it&apos;s unclear whether it&apos;s intended for an adult or toddler--and really doesn&apos;t leave much to the imagination. In the interview accompanying the decidedly 80s-inspired spread (shot by Mario Testino and styled by Carlyne Cerf de Dudzeele), Kidman admits that she regrets not getting a little wild at times: "I would be more outlandish if I could. A lot of times you just don’t get the chance.” So... we guess this shoot, which also features nips, is really just making up for lost time? According to Kidman, she&apos;s been quite sexual ever since she was a little kid. Probably because she was forced to stay out of the sun and read books. How long has Fifty Shades of Grey been around, anyway? There&apos;s also an amazing quote from director Lee Daniels, who worked with Kidman (alongside Zac Efron and Matthew McConaughey) on the upcoming film The Paperboy, where she plays a down-and-out hairdresser named Charlotte who spends her free time penning letters to men behind bars. Sounds like some intense fanfic, doesn&apos;t it? All funnies aside, Nicole looks ageless and amazing--and a bit like Heidi Klum, no? Click through the gallery for the rest of the seriously revealing shoot, as well as a .gif of that fold-out cover you&apos;re probably going to hang in your school locker come September. 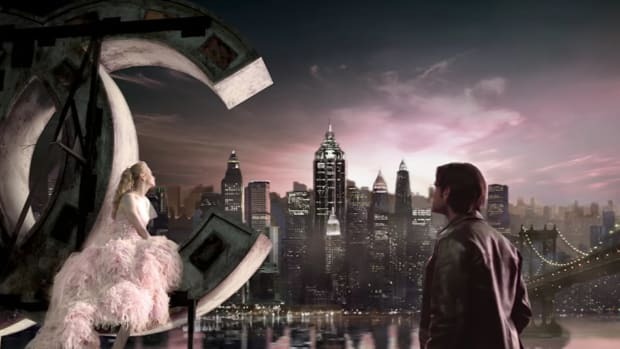 How one extravagant perfume spot launched the brand's foray into mini-movies. Fashion News Roundup: Don't Mess with Chanel, Céline Dion Takes It Off for V, and No More Fashion Trends? Is Nicole Kidman Also Having a Style Renaissance?